2. Can I Still Contribute to an IRA If I Have a 401(k) Plan at Work? There are several ways to hold gold in a 401(k), but for many, the best way is to rollover your assets to a gold and silver IRA and buy the gold there. The reason is that many 401(k) plans don’t provide access to investments in silver and gold substitutes, but an IRA does. In general, you can’t hold collectibles like art, rare books, antiques, precious metals, rare stamps and so forth in a qualified retirement plan or IRA. However, a special carve-out exists for certain forms of gold, silver, platinum and palladium. To qualify, these precious metals, in the form of coins, rounds and bars, must meet certain standards for size and quality. The rub is that you need a plan trustee who can arrange for you to buy, store and sell gold and other precious metals. Invariably, this is a metals broker or dealer who offers self-directed 401(k) accounts and/or IRAs. It would be highly unusual for a qualified employer plan to make a metals broker the plan trustee. Employer decides which investments are available to employees. Employer gives employees access to a broker or mutual fund provider for the purchase of a limited variety of assets. Employer offers a self-directed option allowing employees partial to full discretion over investments, perhaps restricted to certain asset types. If you are self-employed, you can open one or more self-directed Solo 401(k)s (also known as a one-participant 401(k) plan), and set one up to hold precious metals. If your employer offers a fully self-directed option, you can open a gold 401(k) account and use it to buy gold. You have the same option if you have self-employed income that you contribute to a self-directed Solo 401(k). Physical gold ETFs: Funds such as GLD and IAU own physical gold. Your shares give you direct exposure to the current price of gold. The gold is stockpiled in one or more depositories, and the ETF can buy or sell gold to match supply and demand for the shares. Futures/options gold contracts and funds: Several mutual funds and ETFs derive their value from futures and options on gold. You can trade the future funds and/or the futures and options contracts. The gold contracts trade on commodity exchanges according to strict specifications. While contract prices and gold ETFs closely follow the price of gold, the correlation is not perfect, especially in rapidly moving markets. Gold-mining stocks and funds: You can buy shares in corporations that mine and refine gold. You can also own shares in mutual funds and ETFs that hold a basket of gold-mining shares. While the price of gold affects gold stocks, you also must account for company-specific factors that can decouple the prices of shares and gold. Using a fund is less risky than buying individual stocks because the investment is instantly diversified across a number of different companies. The closest substitute to holding physical gold in your 401(k) is a physical-metal ETF. However, some employees want nothing less than physical ownership of gold coins and bars. Unless you are self-employed, or your employer offers self-directed 401(k) plans, the best alternative for those demanding physical ownership is a gold IRA. You can open a self-directed precious-metals IRA with a government-approved metals dealer or broker as the account trustee. Once open, you can perform a direct rollover from your 401(k) to your self-directed gold IRA and use the money to buy the permitted forms of gold and other precious metals. A direct rollover doesn’t trigger a tax bill nor a penalty for early withdrawal. Bear in mind that the annual IRA contribution limit is substantially less than the limit on 401(k) contributions. Also recognize that an IRA has no mechanism for employer contributions, which is an important benefit of a 401(k). Nonetheless, if you want to physically own gold in your retirement account, nothing beats a precious metals IRA. You can hold approved forms of gold, silver, platinum or palladium bullion as coins, rounds and bars. Numismatic coins are not allowed. U.S. gold coins in one, one-half, one-quarter and one-tenth ounce sizes are permitted. Some foreign coins with a gold content of at least 99.5 percent are also eligible. Gold rounds and bars must conform to the purity standards described in the gold contracts traded on commodity exchange (99.5 percent pure). The source of the gold must be a national government mint or exchange-approved refiner. Beyond the standards for size and purity, certain other rules apply to holding gold in a 401(k) or IRA. 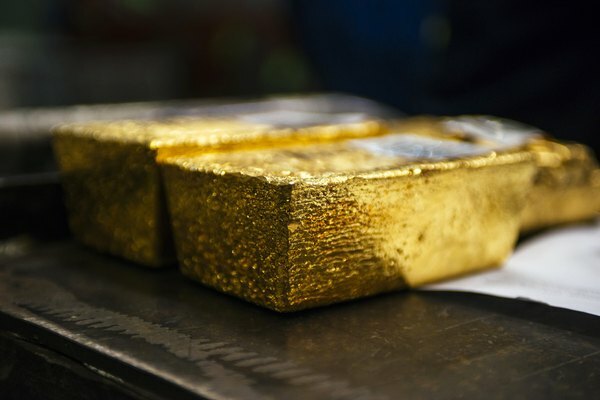 The rules state that the trustee must be the physical custodian of the gold, which must be kept in a secure and insured depository. Despite some claims to the contrary, the IRS has never blessed the idea of account owners holding their own gold. The reason is simple: It would be difficult to monitor the undisclosed distribution of owner-held gold from the account, which creates taxable income. Another pertinent rule is that you cannot contribute gold to a retirement account, only cash. However, you can rollover gold from one account to another. Liquidity: If you want to sell some or all of your physical gold, you place an order with a gold broker (typically the trustee), who must recall your gold from the depository, find a buyer and deposit the sale proceeds in your account. This is bound to take a few days, which might be a problem if you are reacting to breaking news that affects gold’s price. A gold substitute in a mutual fund is sold after the next market close. The fastest execution is via the sale of stock or ETF shares through a brokerage account. Tracking: Only physical gold perfectly tracks the price of physical gold. All substitutes introduce a certain amount of price risk, ranging from negligible to substantial. Peace of mind: Some folks own gold because it provides them, for various reasons, peace of mind. For example, you might want to own physical gold if you had your doubts about paper money. Owning physical gold might allay some of your fears, despite the fact that the gold isn’t in your physical possession. Fraud: There is a woeful history of fraudulent precious metal brokers who accept your money to buy gold, but simply take the money. Fraud is much less likely on exchange-traded gold substitutes due to tight regulation and account insurance. Cost: It costs money to store and insure physical gold. Gold substitutes don’t have the same costs.